Learn how to increase the Control Point Alert Level in The Division 2. 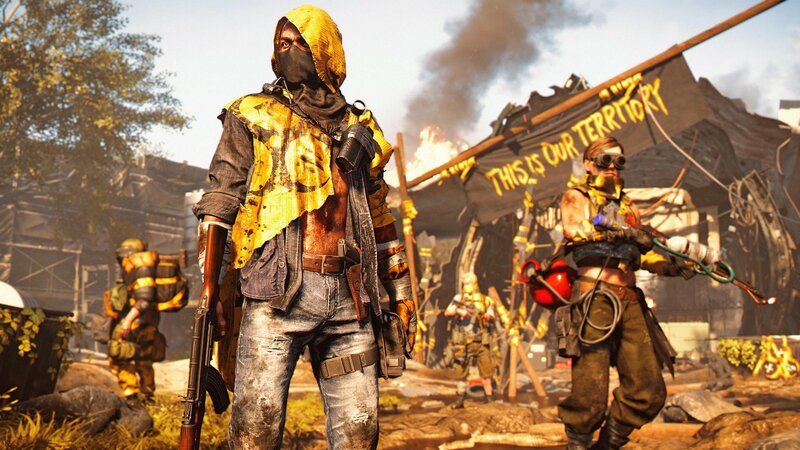 Control Points are just one of many world events that players can take part in while playing The Division 2. Once you reach World Tier 4, you’ll be able to raise the Alert Level of each Control Point, making the rewards better, but also raising the difficulty substantially. 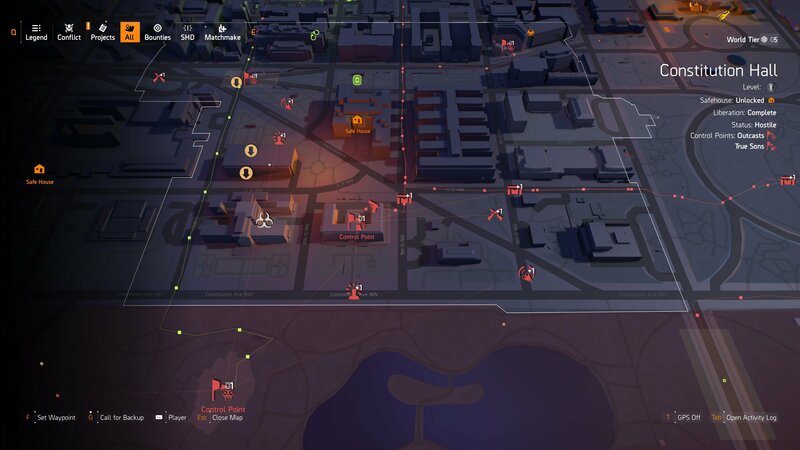 In this guide we’ll tell you how to increase the Control Point Alert Level in The Division 2. As mentioned above, you’ll only be able to increase the Alert Level of a Control Point once you have reached World Tier 4. If you don’t know how to increase World Tiers, then make sure you read our handy guide. When you do reach World Tier 4, you’ll notice that events around the city are now tied by red lines that lead back to Control Points. As you can see, each activity around the map is tied back to a Control Point via red lines on the map. These red lines signify that these events are directly tied to the Control Points that they lead back to. In order to increase the Control Point Alert Level, you’re going to need to complete events that are tied to those Control Points. Each event in the world, like Propaganda Broadcasts, will include a +1 or even a +2 beside them. This shows that completing this event will add one additional Alert Level to the Control Point that it is connected to. When you’ve completed enough of these, the Control Point’s Alert Level will reach up to Level 4, the highest available in The Division 2 at the moment. When a Control Point reaches Alert Level 4, the world event becomes much more difficult to complete. At this point the Control Point is going to be much more difficult to complete, most likely taking an hour or more if you're playing solo, depending on your overall skill in The Division 2. Unfortunately, at the moment many players have reported that Level 4 just isn't worth the trouble, and recommend stopping at Level 3, as the rewards are much better and the Control Points aren't quite as difficult to complete. When raised to Level 3, Control Points will reward players with blueprints for the Crafting Station, making these activities a great thing to farm for better blueprints and gear options. Now that you know how to increase the Control Point Alert Level, be sure to head back over to our The Division 2 guide for more help taking back the streets of Washington D.C. and conquering the endgame in the latest Tom Clancy’s shooter.